1000TVL cameras are the best (or worst) example of this. 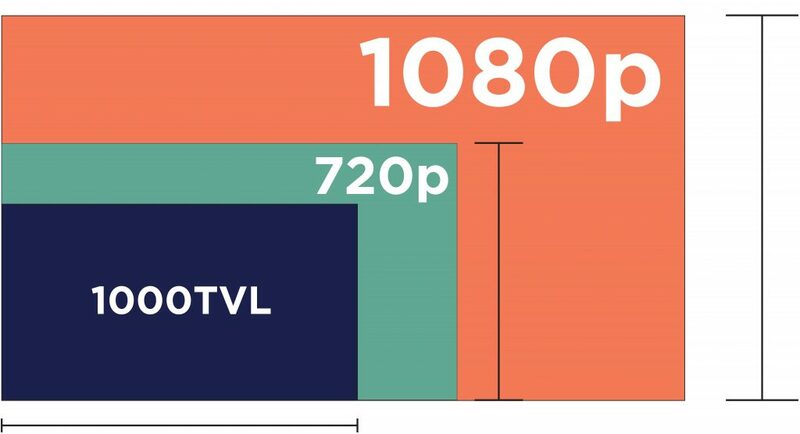 At a glance, you might think that 1000TVL resolution is comparable to 1080p resolution, but there is a huge difference between the two. Measurements in TVL refer to the horizontal pixels of the image, while HD resolutions measure the vertical pixels on the image. This means that 720p, which is 720 pixels tall by 1280 pixels wide, is actually a better image than 1000TVL. This is a scheme with the goal of getting you to spend top dollar on subpar equipment. Even with “1000TVL cameras,” you can hardly recognize a face or read a license plate from more than 10 feet away, and what good is video footage if you can’t tell what you’re looking at? TVL refers the horizontal pixels on your monitor. HD resolutions measure the vertical pixels. Analog DVRs usually record in 480TVL (D1), 600TVL, 650TVL, or 700TVL (960h), and the absolute highest resolution that an old Analog DVR can view is 720TVL. If you are hoping to hook up a 1000TVL camera and get better resolution on your existing analog DVR, you will be disappointed when you only get 720TVL. It doesn’t matter how good the image sensor is in the camera, because as far as Resolution goes, your system is only as strong as your weakest link. Using this “creative math,” that 1000TVL camera would really be a 750TVL camera. But since Analog DVRs max out at 720TVL anyhow, nothing beyond that matters. 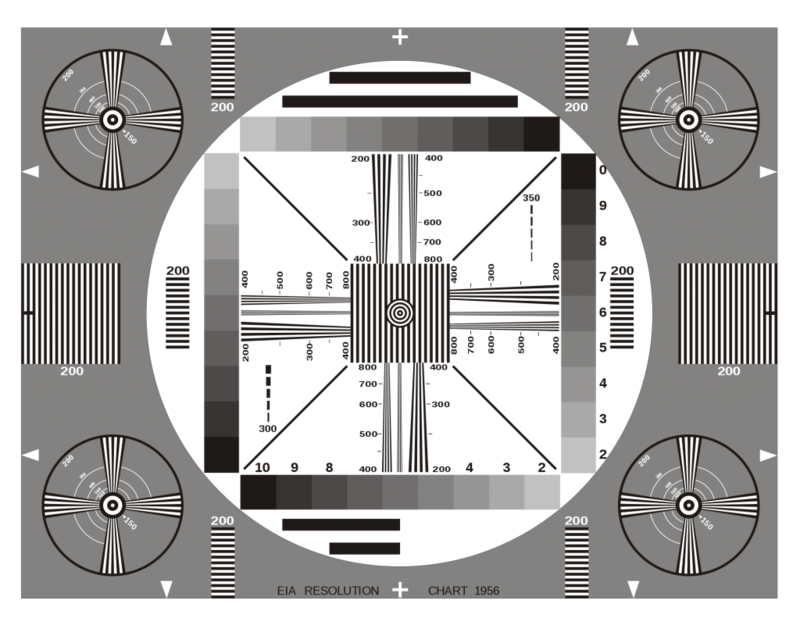 This chart is used to test the resolution of TVL cameras. Most 700TVL cameras can only decipher up to 525 TV Lines. The best way to ensure that you’re getting a High Definition camera is to avoid any camera that uses “TVL” as a way of measuring resolution. The true HD resolutions are 720p, 1080p, 4 Megapixel, and 4K (8 Megapixel). Security camera systems that use Cat5 or Cat6 ethernet cable are always going to have the best resolution. If you are setting up a new system, you should be looking at IP cameras that use Cat5 cable and Power Over Ethernet. This is another way to be sure that your cameras will record in HD. If you are looking to upgrade an old Analog CCTV System to HD and use the same cables, you should look at a true HD over Coax technology like HD-TVI. Keep in mind that an HD-TVI camera will only get you HD resolution if you have an HD-TVI DVR as well, meaning that you cannot connect an HD-TVI camera to an Analog DVR. The point of this article is to show that numbers and marketing terms can be misleading to shoppers. Do your research and understand the product that you’re purchasing. For more information on how to decipher Resolution measurements, as well as an extensive comparison to Analog vs IP, check out this article. Previous Previous post: Should I use Cat6 or Cat5e for my IP Security Cameras?